Here's something I wish we had done more of this summer. 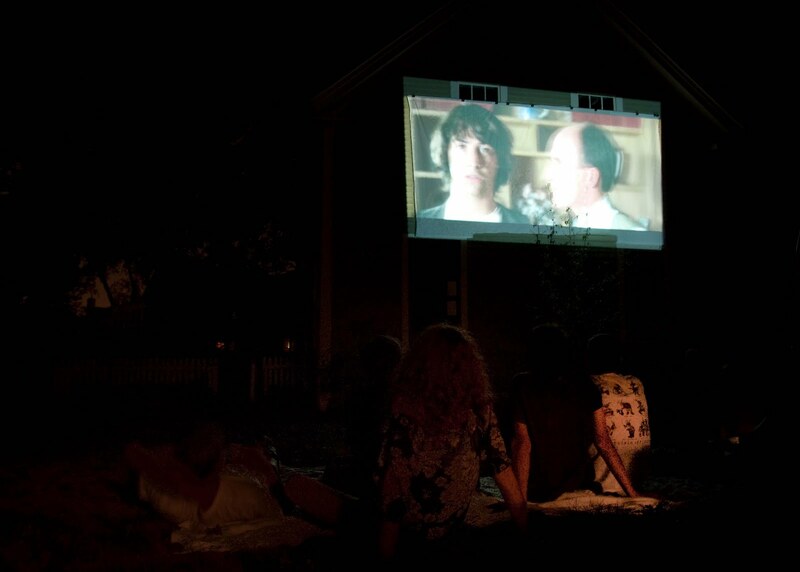 In the past, we've had a lot of fun inviting big gangs of folks over for outdoor movies. We rigged up a movie screen by sewing two bedsheets together, Mr. CM gets out his projector and speakers, I pop buckets of popcorn and it's a party. With a hurricane about to crash our Labor Day weekend, we felt like this was our last chance this season. Can you guess what classic (circa 1989) movie we showed? Bill & Ted's Excellent Adventure! Was it a good movie? Never seen it.